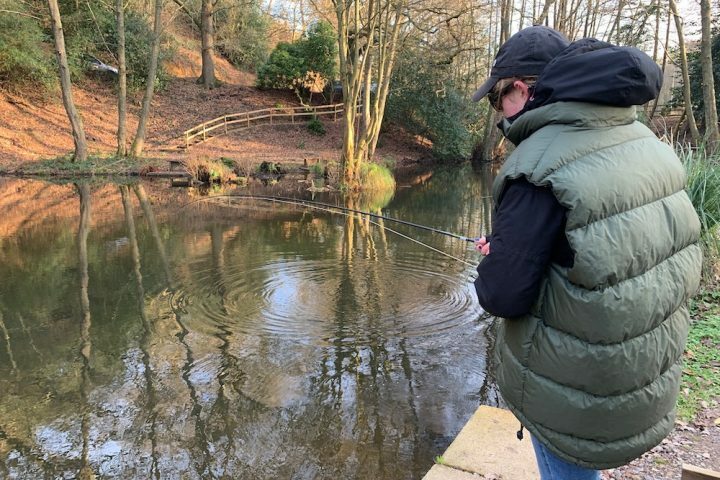 I recently stumbled across a fabulous place for a day out with the family. How is it, I have not found it sooner? I love a good wander around a garden, as my family know only too well. And when you add a cafe that serves good coffee and cake, you’re on to a sure-fire winner in my book. But as it’s been under my radar, I thought maybe it’d been under yours too. So let me tell you about Painshill. 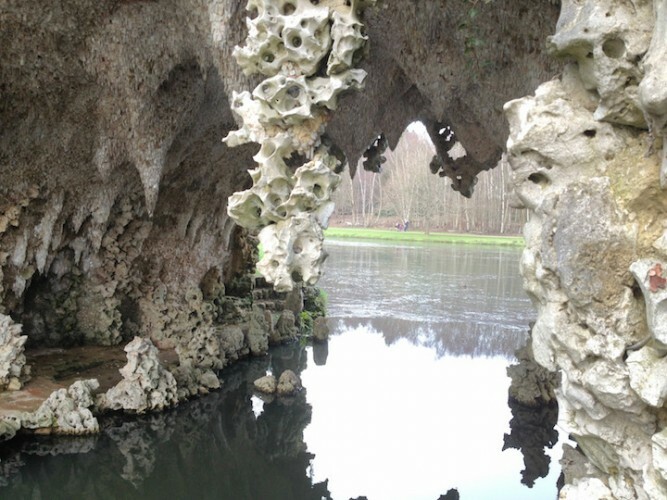 Painshill is a beautiful landscape garden in Cobham created by Charles Hamilton in the 1700s, with a man-made crystal grotto as its centrepiece. The grotto is, indeed, extraordinary. It’s the largest in the country, with a 60ft entrance passage, a main chamber and meandering passages. And it sparkles, thanks to clever uplighting. My miniature Muddies were totally wowed by it. 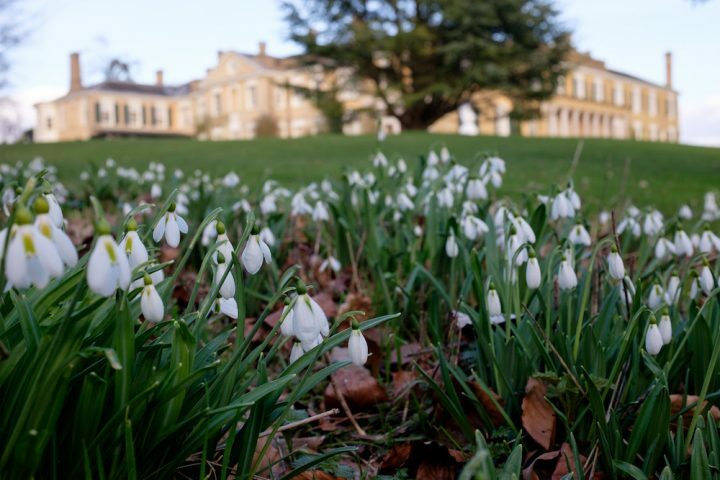 The gardens themselves are set in 158 acres, with winding paths that take you to all corners, around and over a serpentine lake, and alongside vineyard plantings that produce sparkling white and rose wines (available to buy in the gift shop for £19.50 a bottle). 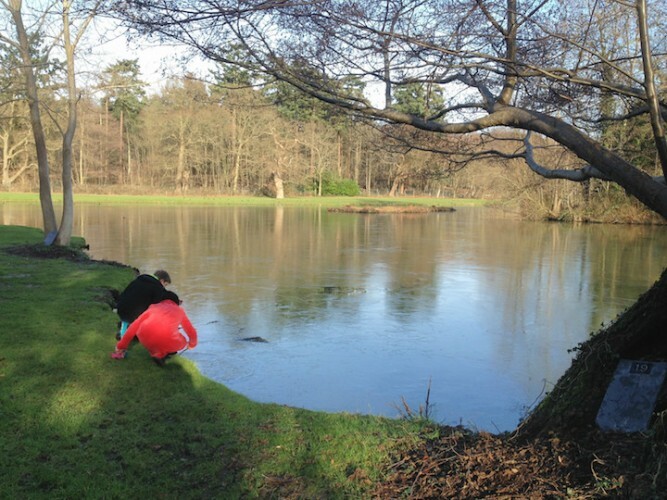 The lake had iced over in parts on the day we went, which provided untold enjoyment for my kids – from breaking bits of ice from around the edges, to watching a swan battle her way through it! Most of the paths are paved, so this is a fab place to come if you want a bit of outdoor action, but don’t fancy a muddy wooded path. This also means it’s pretty handy for pushchairs and wheelchairs. Dogs are also allowed, but they must be kept on a lead. 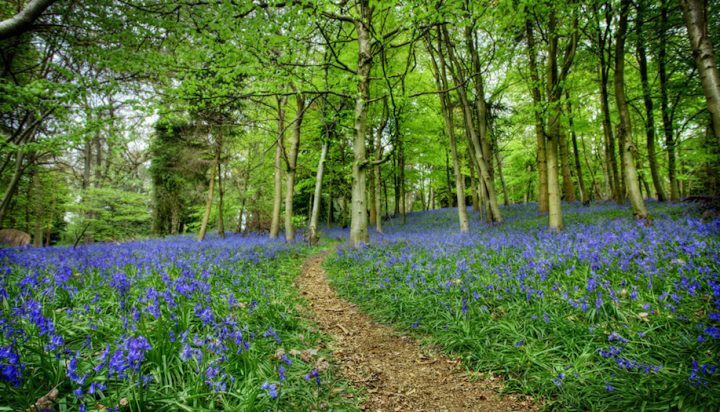 There’s a choice of two routes: the Historic Route (2.5 miles) that Hamilton devised to lead his visitors through the changing vistas of his landscape, and the Short Route (1.5 miles) which takes you through the ornamental grounds. The Historic Route takes you past the ruined abbey (above), a gothic temple, a waterwheel and a Turkish tent that overlooks much of the gardens. There’s also a hermitage, occupied during Hamilton’s time, by an appointed “hermit”, who was sacked from the post after only three weeks because he couldn’t stay out of the village pub! Hamilton was inspired by Renaissance art and by what he saw on his trips to Europe, and wanted to create a series of “living paintings”. 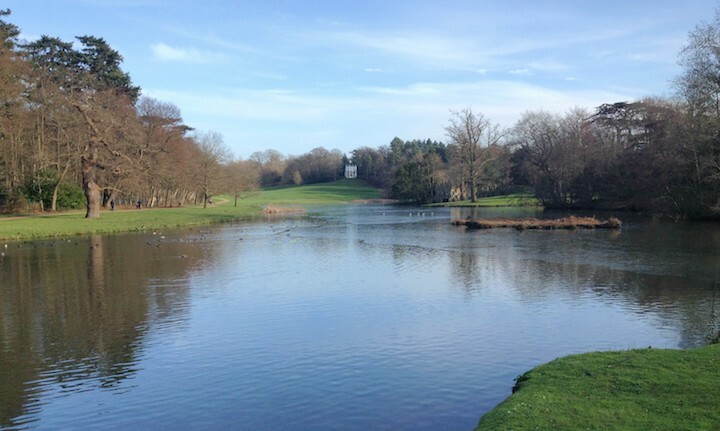 Of course, much of the park eventually fell to ruins, but a major restoration, started in the early Eighties, has seen it repaired, and it is now a Grade 1-listed landscape. 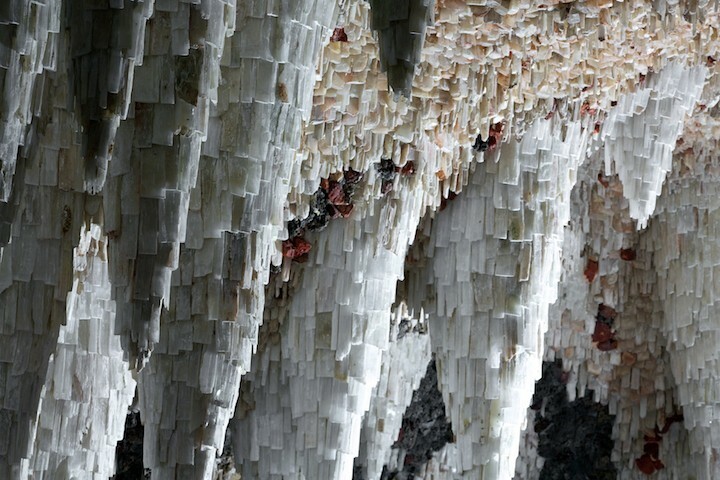 Interestingly, during the restoration of the grotto hundreds of thousands of crystals – calcite, gypsum, quartz and fluorite – including some of the originals recovered from archaeological works, were attached on to a framework of inverted wooden cones, to re-create the stalactite effect of the original folly. It’s a fascinating and beautiful place, and you could easily spend a day here. There’s a cafe, Mr Hamilton’s Tea Room, with views over the gardens and outside seating, which serves lunch and cakes. I can only vouch for the cakes, and they were pretty darned good. Alternatively, you could pack a picnic. Oh, and by the way if it’s a unique Valentine’s experience you’re after, I may just have found that for you too! 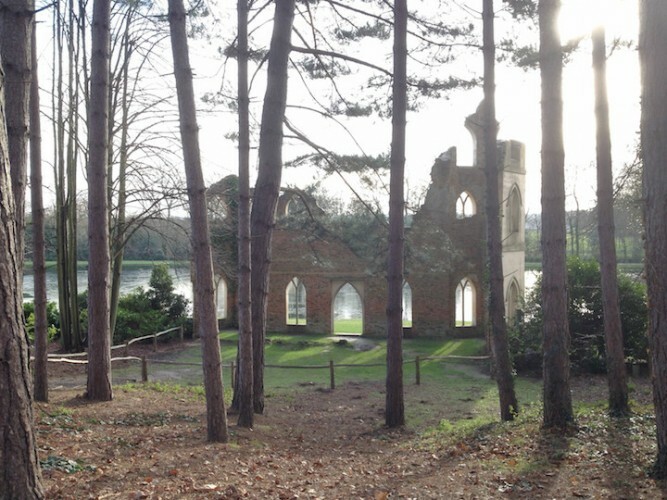 Painshill is celebrating the day of romance with a Valentine’s Grotto Experience in the grotto. It doesn’t get more sparkly than this. There’ll be chocolate hearts and a red rose, of course, as well as a glass for each of the romantic couple of Painshill sparkling wine. And if you want to add your own diamond to the mix, then hey, why not?